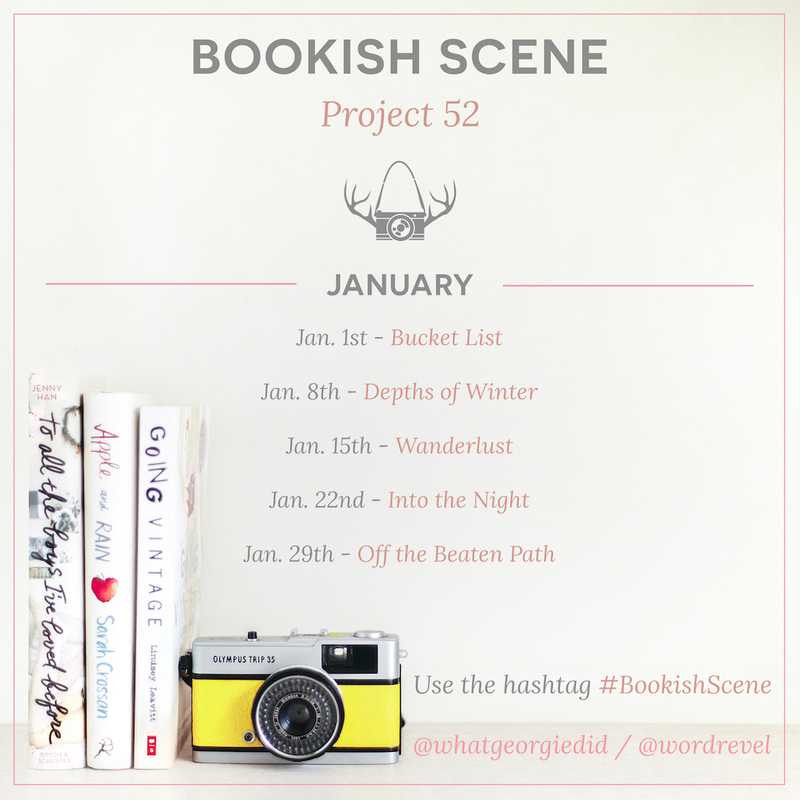 This weeks theme for Bookish Scene: Project 52 is „Depths of Winter“ and although I own quite a few books who are set in winter (the cold is such a good setting for thrillers!^^) most of them don’t look like it, so it was not that easy to find a matching book for this week. 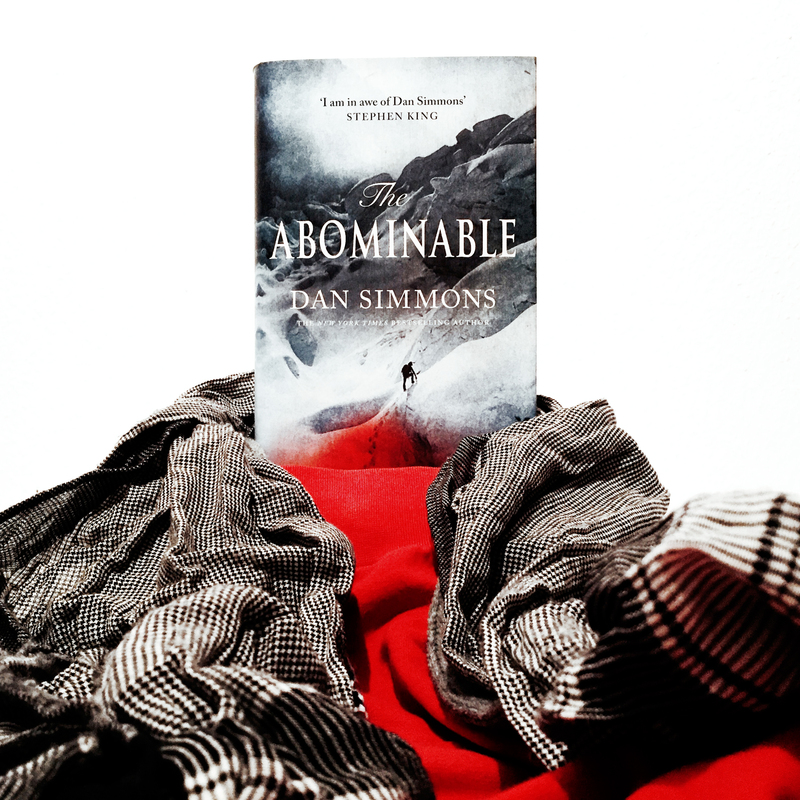 If you like reading about expeditions and are at least a little bit interested in mountain climbing then you should definitely give „The Abominable“ a try because Dan Simmons creates a great atmosphere that lets you really feel the cold and the rough conditions on the roof of the world and even though there are some horror elements the story is actually based on real events, that is to say the disappearance of George L. Mallory and Andrew „Sandy“ Irvine during their expedition in June 1924 which remains a mystery until today even though their bodies have been found in 1999. Wow, tolles Arrangement, der Schal passt eins A. Das Projekt habe ich mir gerade mal näher angeschaut, das klingt wirklich reizvoll! Ich überlege ernsthaft, ob ich das auch mal ausprobiere, gefällt mir sehr! Von Dan Simmons habe ich im vorletzten Jahr übrigens die Joe Kurtz-Thriller gelesen, eine Trilogie, die mich sehr begeistert hat, irgendwo zwischen Sin City mit viel Pulp und Hardboiled. Da der Autor ja mehrere Genre bedient, dürfte das in eine ganz andere Richtung gehen, als dieses Buch hier. Vielleicht sagt Dir die Reihe auch etwas? Das verstehe ich gut, ist auch nicht meine Baustelle. Dan Simmons ist auch wirklich ein Chamäleon, was Genre angeht. Ich habe mich aber auf diese Thriller-Trilogie um Joe Kurtz beschränkt, da mich der Rest wiederum nicht locken kann, zumindest noch nicht.